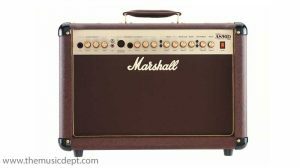 The JCM25/50 Silver Jubilee Series was produced in 1987 to celebrate 25 years of Marshall Amplification and 50 years of Jim Marshall being in the music business. 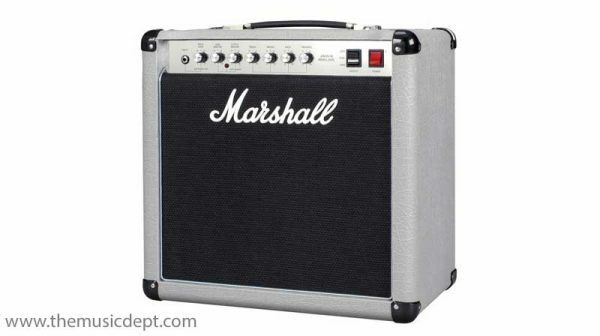 Inspired by this acclaimed series, the 20 Watt Marshall 2525C Mini Jubilee combo and ‘small box’ head combine classic Silver Jubilee preamp tone, features and styling in a lower power, ‘mini’ design. This contemporary ‘mini’ take on the Jubilee Series features: an ECC83 & EL34 valve-set, High/Low output switching, (20 Watt to 5 Watt), FX Loop and independent 4/8/16 Ohm speaker outputs. 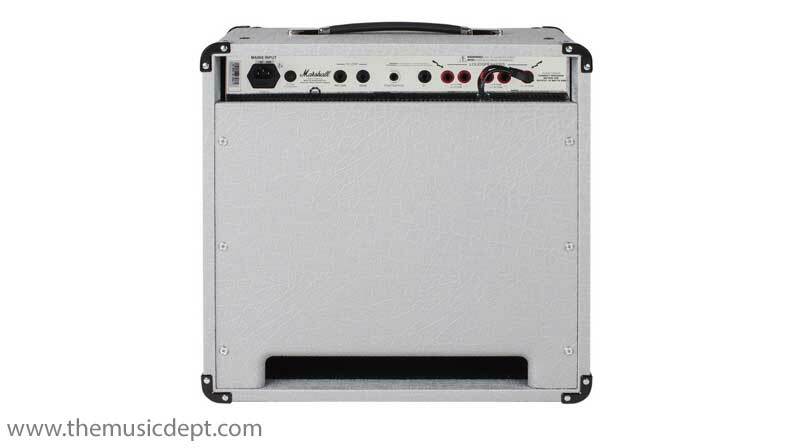 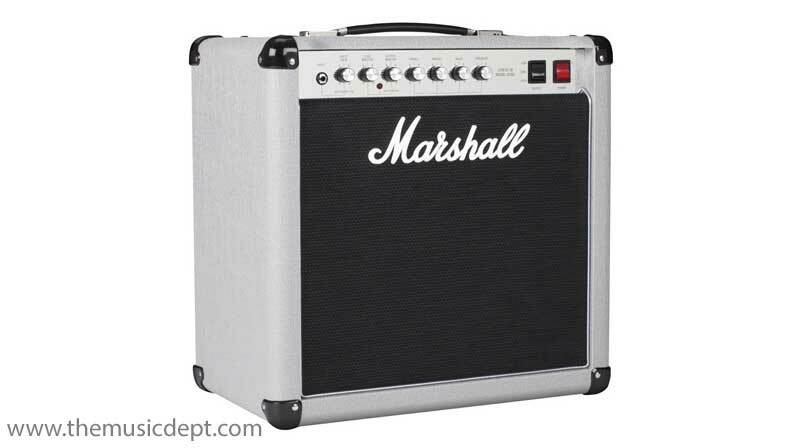 The Marshall 2525C Mini Jubilee combo is loaded with a single 12″ Celestion G12M-25 Greenback speaker. In keeping with classic Jubilee tone, the Marshall 2525C Mini Jubilee features preamp circuitry taken from the 2555X which was launched in 2015 and made using the original diagrams. 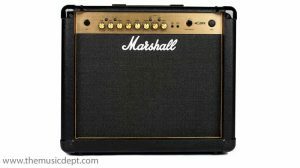 The Marshall 2525C Mini Jubilee is expertly crafted and is designed, engineered and constructed to the highest possible standards at the Marshall factory in Bletchley, England. 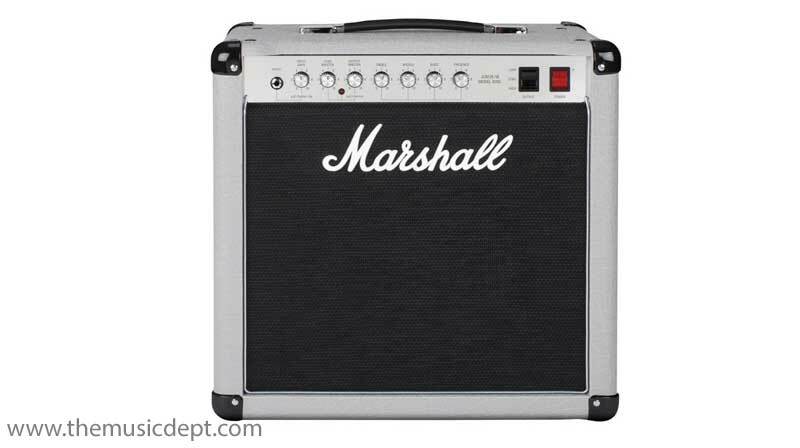 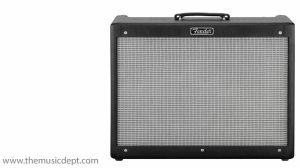 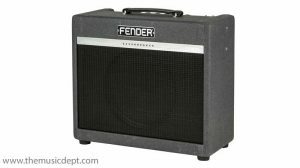 Be the first to review “Marshall 2525C Mini Jubilee” Click here to cancel reply.